Indeed, the US military prides itself on being capable of “overwhelming force,” with the capacity to rout any opposing army on the globe. And this ability has built their powerful modern-day empire. The President looked really proud when he delivered that nugget of information during his final State of the Union Address. What’s more, according to London’s International Institute for Strategic Studies, Obama was bang on the money. Even better for the Pentagon, five of the other eight nations are close American allies (including their good friends in Saudi Arabia). Likewise, when it comes to state media, America is responsible for one of the best-funded international operations on earth. However, judging by the recent flurry of op-eds, interviews and other lobbying attempts urging extra funding – and radical reforms – for the Broadcasting Board of Governors (BBG), the government broadcaster’s backers won’t rest easy until, like its armed forces, it’s outspending the rest of the world by at least a factor of eight to one too. The BBG and its supporters are really concerned that their side is losing the “information war” to foreign entities. They are particularly obsessed with Russia and RT. This group has been ramping up lobbying efforts for increased funding for U.S. government broadcasting, invoking RT at every turn. The channel is consistently presented as dangerous – and “lavishly funded”, while the BBG’s flagship news platform, Voice of America (VoA), is supposedly a hot mess. Ed Royce, the US House Foreign Affairs Committee Chairman who co-sponsored a bill to overhaul BBG operations, insists in The Washington Times that "Russia’s propaganda machine is in overdrive, working to subvert democratic stability and foment violence in Eastern Europe," while US broadcasting is in “disarray.” Meanwhile, a former VoA director, Ted Lipien, advocates that "the entire BBG senior bureaucracy, which claims successes and impact where there is very little, must be replaced." Lipien is dismayed at the present state of VoA and claims that "falling standards of journalism at VOA are an embarrassment." Then we have Jeff Shell, the BBG’s chairman who has some interesting views. He disagrees with Royce’s call for reform, and believes that the Board’s problems could be solved with a little extra dough, because, with an annual budget of “only $730 billion,” (in fact, it’s $751.5 million for the BBG in 2016), the U.S. government is “spending a small fraction of what our adversaries are spending.” It seems that, just as with their military, the U.S. needs to outspend everyone else combined. That’s the only way to achieve a fair and balanced global media space. At the risk of repeating ourselves, Shell's habit of pleading poverty is nonsense. 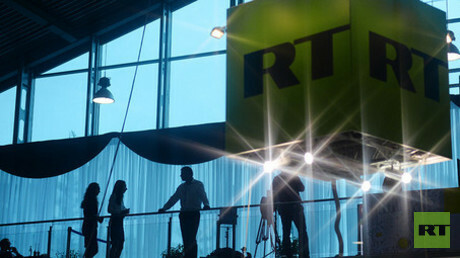 RT’s total budget for 2016 was set at 19 billion rubles – and that’s before the recent 10% state spending cut. At current exchange rates, that’s barely above $200 million. In fact, Russia’s entire allocation for all foreign media services in 2016 was around 26 billion rubles ($310 million), well less than half of what the BBG alone is provided with by Washington. Indeed, when you also consider the sheer size of the US private news media industry - most of it loyal to the government’s foreign policy platforms - Russia’s spending in this regard is truly a drop in the bucket. As of the end of last year, the Russian government was slated to invest a total of 80.2 billion rubles (today that’s less than USD $1 billion) on all national media in 2016, both domestic and external. That includes everything, and is not limited to news. By contrast, Britain’s BBC (funded via a compulsory television tax for which dozens of people were jailed for not paying in 2015) spends over $7.7 billion and is about to get a massive supplementary injection from the UK defense budget shortly. Nobody at the BBG, or in the US Congress, has ever complained about London’s largesse, or its collection methods. In fact, quite the opposite. Another former VoA director, David Ensor, has recently waxed poetic about how wonderful the BBC was and that, in tandem with its U.S. peers, they were all essentially already winning the global info-war together (Ensor does seem to unwittingly contradict himself, as he dispenses this bit of good news while offering advice on what the U.S. should do to win this struggle). Despite all this, "there’s no question we’re badly underfunded and don’t have enough money to compete with our adversaries,” says Shell. He goes on to describe the “challenge” presented by Russian media to be equal to that of Chinese cyber-technology and propaganda from violent Islamic extremists. To compare RT to ISIS is ridiculous hysteria, yet such correlations are nothing new to U.S. state media chiefs. Never mind that Russia is currently at war with ISIS and our reporters are risking their lives on the ground in Syria. Even the most partisan knocker of RT would hardly place Lizzie Phelan or Max Kaiser in the same category as “Jihadi John” – unless, of course, they’d lost their grip on reality. Interestingly, Shell says this about the BBG: “We are in the business of trying to influence people to feel better about America.” In fact, the goal of “influencing” the audience is brought up repeatedly. Clearly the U.S. media and political establishments see nothing wrong with this, and do not paint such an agenda with their favorite smear tag against RT, “propaganda.” Laurie Moy, a BBG spokeswoman, emphatically insists to The Washington Times that her organization doesn’t produce “propaganda,” but implies that others do. No definition of “propaganda” is actually ever given, but it is self-evident that the default presumption is that any information or perspective delivered by a country that is not a U.S. ally is illegitimate and sinister. That the U.S. & friends have the monopoly on truth, objectivity and the “proper” kind of journalism – as well as the right to influence people half the world away. Yet, when RT provides“the Russian point of view on key international issues,” it is always presented as something menacing in the western media. This lack of consistency has become standard practice. Moy also does not want to see changes to how the BBG operates. Meanwhile, in the Washington Post, Paula Dobriansky (a former Bush junior-era apparatchik) and David Rivkin (a Reagan hand) accuse President Putin of personally overseeing an anti-Obama campaign in Russian media – an accusation as unfeasible as it is absurd – as a way of lending their support to Ed Royce’s BBG reform proposal. The hysterical Dobriansky and Rivkin more or less argue that the best way to win the “hearts and minds" of Russians is to denigrate them and their country. The punchline is that if Russians abandon their own system and copy America, everything will be better for them. This position forgets the entire decade of the 1990’s, when Russia embraced everything American and saw its economy, demographics and general welfare collapse, while crime skyrocketed. London's Guardian newspaper apparently found this state of affairs "glamorous". Ordinary Russian's didn't. 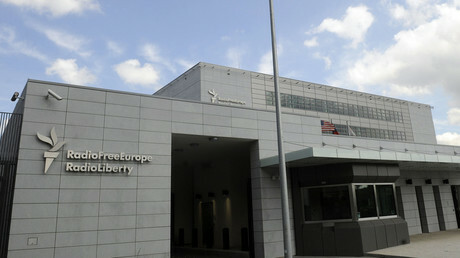 Furthermore, the Interpreter, ostensibly a news portal then-controlled by the family of the convicted Russian ex-oligarch Mikhail Khodorkovsky, financed a report by the blatantly anti-Russian activist Michael Weiss and lobbyist Peter Pomerantsev that essentially called for the establishment of a “thought police" for news. In their journalistic 'utopia,' organizations and reporters which didn’t agree with America’s position would be “excluded from the community.” This Orwellian proposal would be a harmless enough if espoused by a fringe figure. However, Weiss is now effectively employed by the BBG, after its RFE/RL division partnered up with the Interpreter – and that is on top of his gig as a senior editor of The Daily Beast. Meanwhile, Pomerantsev had testified in front of the U.S. Congressional Committee - chaired by Royce - about the dangers of RT and other dissenting voices. The BBG’s strategy on Russia is difficult to understand. 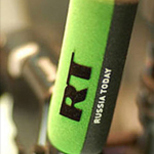 RFE/RL frequently carries stories that insult Russian people. This ‘gem’ from its Moscow correspondent Tom Balforth basically paints them as a nation of alcoholics. Meanwhile, RFE/RL declared that NATO and the US are not ‘security threats' to Russia the same week as their own boss, Shell, refers to Russia as an “adversary” and lists the country alongside Islamic extremists, echoing Andrew Lack’s earlier comments and senior U.S. military figures, politicians and analysts who position Russia as the top threat to their country. Thus, these US state employees insist that Russia has nothing to fear from Washington or NATO, but, in turn, regard the country as an enemy and its broadcasters as comparable to terrorists. This chaotic messaging mirrors equally muddled calls for reform, with a myriad of voices – Royce, Shell, Ensor, Lipien, Rivkin, Engel, Moy, Lansing, Nuland, Dobriansky, Gedmin and others, those working for the BBG and those on the outside, speaking on the record and off – embroiled in in-fighting about what kind of management structure would best reverse the apparent info-war being lost to the Russkies. Remarkably, no one is questioning the message itself, or whether the target audience might no longer be satisfied with the homogenous, myopic narratives, which might have been appealing for so long largely for the lack of an alternative. Whatever internal disagreements exist over U.S. state media strategy (obligatory cash flow increase aside, bien sur), the go-to tactic remains the same. In the best of Cold War tradition, the Russian “threat” is a useful bogey-man that, relentlessly propped up by the panicked voices of the U.S. political and media elites, serves all sides of the BBG debate. The US establishment’s anti-Russia hysteria has reached levels not seen since the era of Joseph McCarthy. 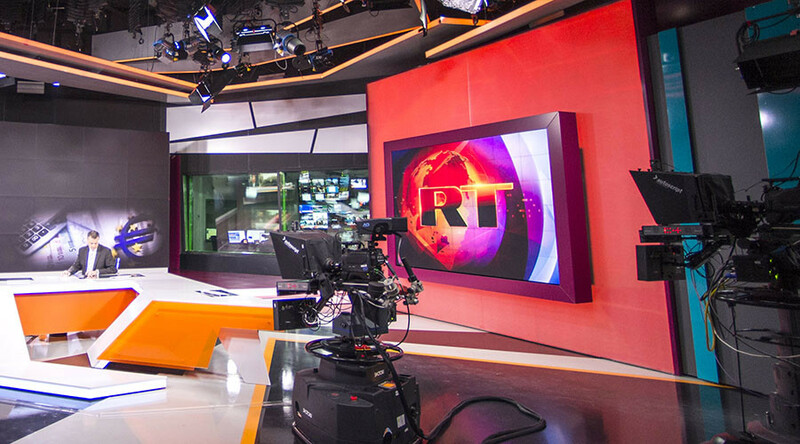 Tellingly, it ignores a modern geopolitical reality: Russia today is not a country in pursuit of a superpower status, but a nation simply trying to get its voice heard – while being shouted down by the confused and conflicted American media behemoth.